Autism Support Weekends at Frost Valley YMCA was supported through two grants who believed in their mission of fostering youth development. A special weekend designed for families affected by autism. Photo courtesy of YMCA Frost Valley. The Doug Flutie, Jr. Foundation for Autism has awarded a generous grant in the amount of $4,22 to support the Frost Valley YMCA‘s Autism Support Weekends on Mar. 24-26 and Jun. 16-18. These weekends have begun since 2014 and have since ensured that all family members feel included and are surrounded by others who understand their experience. It provides respite, physical activity, outdoor learning, and social opportunities in a healthy atmosphere. The Doug Flutie, Jr. Foundation was established in 1998 by former NFL quarterback Doug Flutie and his wife, Laurie, in honor of their 3 year old son, Doug, Jr. who was diagnosed with autism. Thus, they have raised millions of dollars for families affected by autism. Frost Valley has also had the extraordinary honor of accepting the Sponsors’ Award for Advancing a Cause in the amount of $2,500 from YMCA of the USA on Feb. 9! The recipient exuded “outstanding work toward strengthening communities,” and in essence this also helped the fund the traditional weekends. “All of our weekends have always been open to guests and children with diverse abilities but several years ago, we observed that the needs of individuals with autism could be better met during a weekend just for them and their families. We’re so fortunate that when we see an opportunity in the communities we serve, our donors and staff are eager to take it on,” said Amanda Hinski, Director of Communications. Weekends begin Friday night with icebreakers to create a sense of community for the families. For children with Autism Spectrum Disorder (ASD), Frost Valley’s most popular regularly-scheduled activities on Saturday and Sunday are: Pond Exploration, Candle Making, Garden/Greenhouse, Mad Science, Mega Bubble-Making, and traditional camping programs such as snow tubing, hiking, archery, and boating. The Sensory Hikes, are guided walks on nature trails with the emphasis on smells, sights, sounds, and surfaces. The Sensory Room here also displays a variety of objects that calm and focus attention. “If there’s one thing that we’ve learned through our Autism Support Weekends and our Mainstreaming at Camp (MAC) summer camp program with Young Adult Institute (YAI), it’s that including people from all walks of life really improves communities and group experiences. We have found again and again that programs such as this not only create a welcoming and supportive environment for families affected by Autism, but they also broaden the worldview of families and individuals who may not have much interaction with people with Autism,” said Hinksi. Throughout the weekend, Frost Valley staff take care of the details, including a variety of lodging, adapted programming, and special dietary needs, so that guests can relax, have fun and make friends. Guests with autism stay at no charge, and friends and family stay for a reduced rate. A variety of lodging options are available. 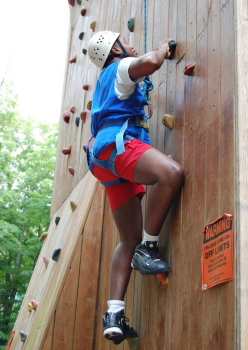 To register for the Autism Support Weekends, contact Frost Valley by calling 845-985-2291 ext 450.